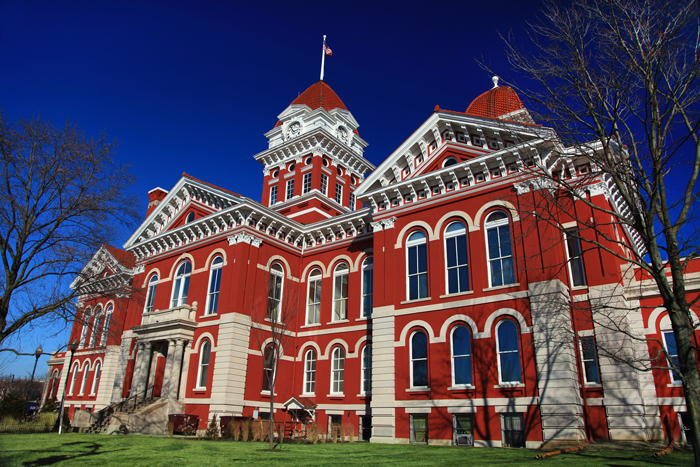 Today, the Old Lake County Courthouse in Crown Point, IN functions as a tourist attraction and houses several shops and galleries that are open to the public. In the warmer months, craft fairs and other cultural events are held around the courthouse and on the grounds of the square in downtown Crown Point. 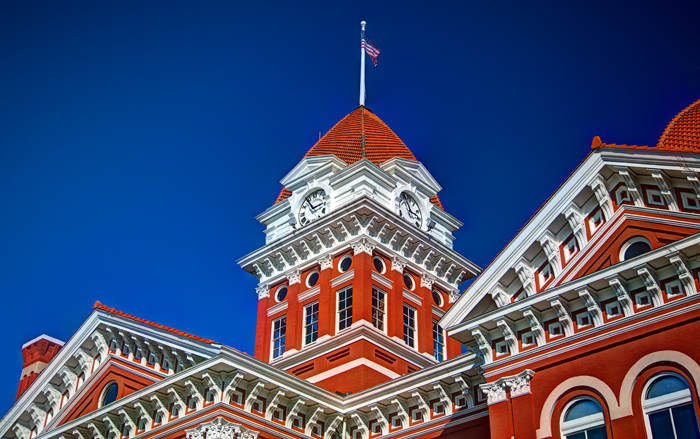 The Old Lake County Courthouse was built in 1878 and is one of the most prominent landmarks in all of Lake County. 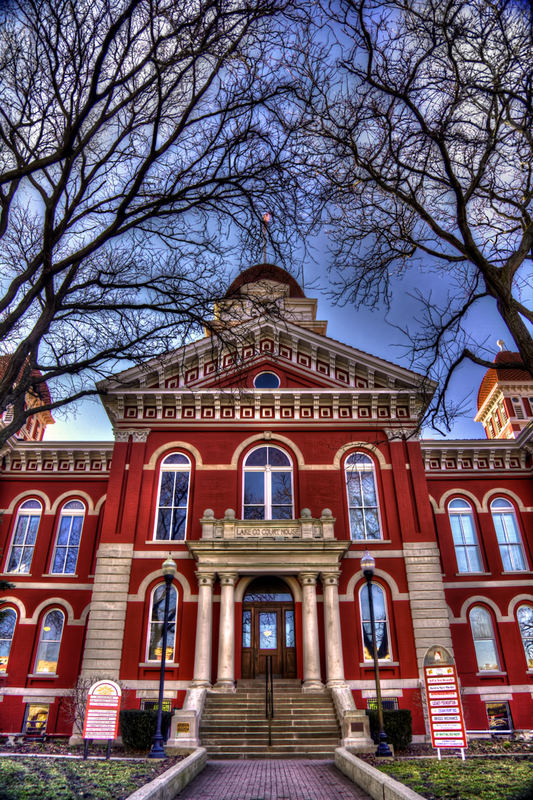 The courthouse is located in the heart of downtown Crown Point in what is known as “the square”. 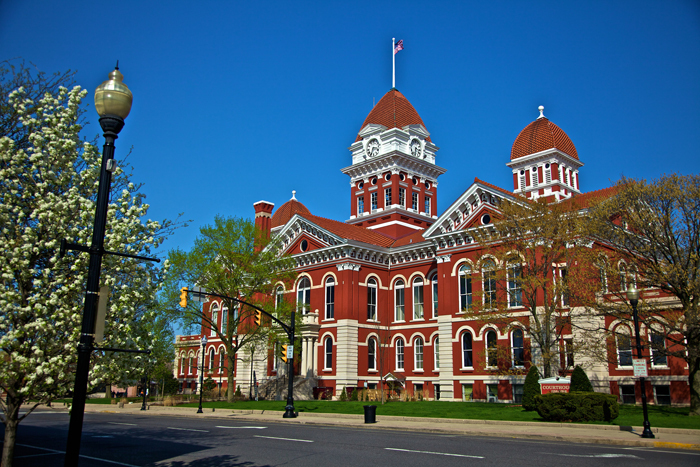 Locally known as The Grand Old Lady, the courthouse can be seen from miles away, whether driving on I-65 looking west or driving into Crown Point via Main St or US 231. The courthouse served as the Lake County Courthouse from the time it was built until 1974 when the county government facilities moved to a new government complex north of downtown Crown Point. In August 2012, I took several aerial photos of Crown Point, Indiana as well as several other Northwest Indiana communities. JoeyBLS Photography is a NW Indiana photographer that specializes in landscape, commercial, and last minute wedding photography throughout Northwest Indiana and the greater Chicago metropolitan area. If you are looking for a Northwest Indiana photographer to take landscape, commercial photos, or last minute wedding photos, please fill out my contact form and I will get back with you as soon as possible. Please be as detailed as possible about the job that you are inquiring about so I can give you the best possible estimate. I am happy to be your Crown Point photographer of choice in Northwest Indiana! Historic Old Lake County Courthouse Crown Point by Joey B. Lax-Salinas is licensed under a Creative Commons Attribution-NonCommercial-NoDerivs 3.0 Unported License. Permissions beyond the scope of this license may be available at http://www.joeyblsphotography.com.